This case originates in a dispute between the Spanish Association of Professional Cycling Teams (Asociación de Equipos de Ciclismo Profesional) and the Spanish Association for Professional Cyclists (Asociación de Ciclistas Profesionales). The two parties had concluded a collective agreement for professional cycling in 2010. Even though it is common practice that cyclists would never sign employment contracts for an indefinite period of time, nor would cycling teams compensate their cyclists merely for contract expiration, article 15(2) of the agreement established that, at the end of the contract, the team is obliged to compensate the cyclist with the amount that is due to him based on the employment contract. 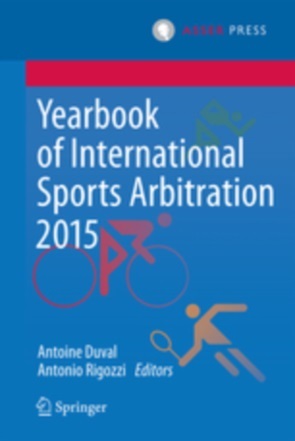 On 14 May 2012 the Association of Professional Cycling Teams, as applicant, requested from the Spanish Audiencia Nacional to pronounce itself on the correct interpretation of article 15.2 of the collective agreement, taking into account the Real Decreto 1006/1985 on the special employment relationship of professional athletes and article 49.1.c) of the Workers Statute (Disposición Transitoria Decimotercera del Estatuto de los Trabajadores). According to article 49.1.c) of the Workers Statute, after expiration of the contract, a worker shall have the right to receive a compensation of an amount equal to 12 days of salary for every year of service. One of the goals of this article was to promote indefinite contracts. The applicant argued that, due to the nature of contracts of professional athletes, for which the duration is never indefinite, article 49.1.c) is not applicable to professional athletes. By contrast, article 6 of Real Decreto 1006/1985, which states that the duration of sporting contracts are always fix-term contracts, should be used for the interpretation of the collective agreement between the two cyclist associations. In its judgment of 16 July 2012, the Social Chamber of la Audiencia Nacional confirmed that professional athletes are not to be treated differently than regular employees, and should therefore be compensated at the end of their contract. However, the Audiencia Nacional recognized the specific nature of the employment contracts of professional athletes, whose employment conditions are specifically regulated in Real Decreto 1006/1985. Hence, it declared article 49.1.c) of the Workers Statute inapplicable to professional athletes. The decision of the Audiencia Nacional being appealed, the Spanish Supreme Court was in turn confronted with the question whether a professional athlete is entitled to the compensation as stipulated in Article 49.1.c of the Workers Statute after expiration of the employment contract. 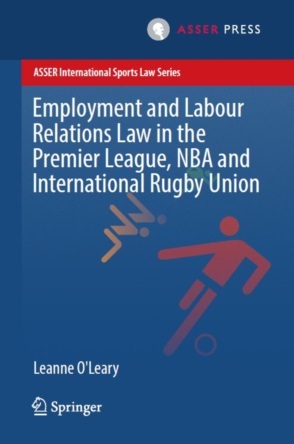 In other words, are the general labour rules regarding the end of the employment contracts also applicable to professional athletes? The Court answered this question affirmatively, seeing no reason whatsoever for the Workers Statute, including article 49.1.c) not to be equally applicable to professional athletes. Moreover, by applying the Workers Statute, the compensation will become an instrument for the promotion of contract extensions, thereby improving the employment stability of athletes. Lastly, and referring to point 6 of the preamble of Council Directive 1999/70/EC concerning the framework agreement on fixed-term work, the Court argued that indefinite contracts contribute to the quality of life of the affected workers, and is therefore in line with the original goals of article 49.1.c) of Workers Statute. The consequences of this judgment are simple enough: A professional athlete who had a five year contract with a specific club or team for 100,000 Euros a year will, at the end of his contract, receive a compensation of approximately 16,438.36 Euros (100,000 / 365 x 12 x 5), or 16.4% of his yearly salary. This ruling is an important step forward on the long and tangled road towards the full recognition of professional athletes as true workers deserving the same rights and duties as their peers. Article 15(2) …Al finalizar la relación laboral se liquidará el finiquito que contendrá todos los conceptos económicos que regule la legislación vigente.